Pawn Golf Clubs / Golf Sets! 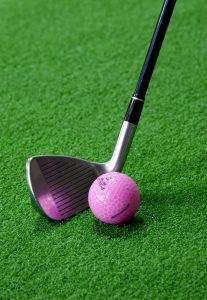 Golf clubs can range from cheap to extremely expensive depending on how devoted you are to your hobby. From individual clubs to entire golf sets, they can range from less than a hundred to thousands of dollars. This makes getting fast cash when you’re in a financial bind quickly and easily by pawning your golf clubs for cash. From individual putters / drivers to entire sets of golf clubs, North Scottsdale Loan and Gold is the only place to turn if you’re looking to pawn golf clubs today. What Happens to My Golf Clubs / Sets After? After we make you a cash offer, you’ll sign some paperwork and our associate will put cash in your hand. Your clubs go back into our secured, monitored storage facility for the duration of the loan. By default, it is written out for 90 days during which you’re more than welcome to come and pick up the clubs if you can repay the loan early. There’s no penalty for doing this, you simply pay the accrued interest and principal balance. Come the end of the 90 day term, the interest and principal balance is due, but you have options if you’re not ready. When you pawn golf clubs, you’re more than welcome to simply pay off the interest at the end of the 90 day term and we’ll rewrite it out for another 90 days. Pawning golf clubs in Tempe, Scottsdale, or Phoenix at North Scottsdale Loan and Guns is the safest way to get the fast cash you need.